I am very excited to announce the publication of my first book for young readers. The official launch date will be April 19, 2011 but it is available for preorder now. Click on this link to see more: Storee Wryter Gets a Dog “Storee’s ideas for her writing often come from her many adventures. 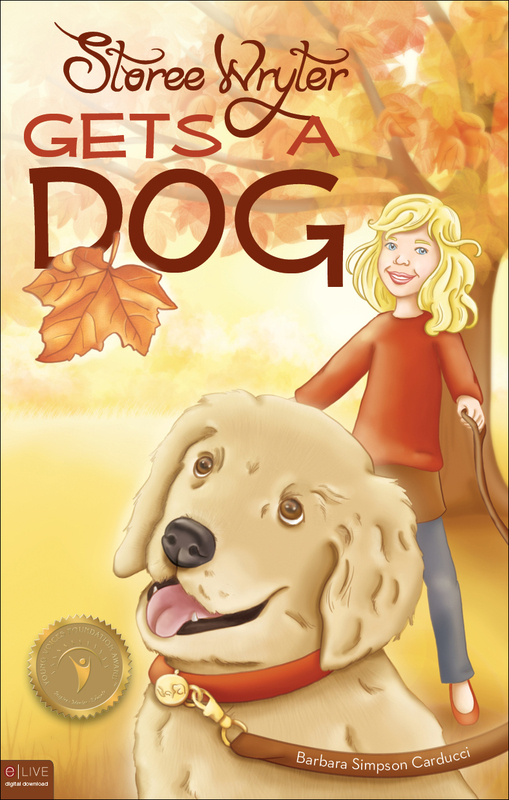 And when her friend, Kyria, talks her into getting a new puppy, Storee gets some great ideas for her next book while she and her cat, Critique, have fun watching her puppy learn to become a trained therapy dog. The picture of Storee on the front of the book is based on two photos, of one of me and one of my daughter, each taken at the age of eight. In addition to telling a great story,the book is desgined to inspire young writers and includes writing prompts at the back of the book. My niche audience for Storee Wryter Gets a Dog is elementary school teachers who will be able to download the book for use in the classroom. Please pass this on to any teachers you know.